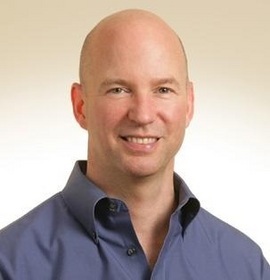 FOSTER CITY, CA--(Marketwired - Jul 27, 2015) - Conversica, the leading provider of sales conversion management software for marketing, inside sales and sales, today announced that Alex Terry has been appointed the company's new CEO. Over his 20 year career, Terry has a history of leading technology companies rapidly from the startup phase to mature businesses. He replaces Mark Bradley, who will serve in an ongoing advisory role for the company. "We invested in Conversica to take it from a start-up in one industry to a high-growth company spanning many industries," said Eric Filipek, Managing Director of Kennet Partners Silicon Valley, the company's lead investor. "The Board chose Alex to lead the company in its next phase of growth based on his proven track record of execution and his outstanding demonstration of leadership and vision. With Alex at the helm, we expect accelerated growth and expansion of the company." Filipek continued, "We'd also like to thank Mark Bradley for the significant contribution he has made in bringing the company to this stage and look forward to his continued contribution to strategy and vision." Terry has a track record of building technology startups with disruptive technology innovation into market leaders. A seasoned entrepreneur, he has driven strong revenue growth while raising millions in investments across a variety of industries, including SaaS, Internet services, Cloud services, e-commerce, digital media, voice applications advertising and online gaming. Terry comes to Conversica from Become, Inc., where as CEO he focused the company's strategy on fast-growing business lines. He expanded the performance-based marketing services company into a global leader in e-commerce, offering SaaS based services to online retailers and web publishers. He led the company to profitability and an acquisition by Connexity/Shopzilla in just three years. Prior to joining Become, Terry was EVP and General Manager of the online survey company Zoomerang.com, a business unit of MarketTools, Inc. He upgraded the business unit's products and grew revenue dramatically in under eighteen months, making a major contribution to the company's acquisition by SurveyMonkey and Texas Pacific Group (TPG) in 2012. Terry also served as president and CEO of NeoEdge Networks, a digital media company that enhances casual games with premium video advertising. There, he led the company to steeply accelerated growth, expanding network reach to over 80 million consumers per month and forging partnerships with top internet brands including Yahoo!, Microsoft, Viacom, and NBC Universal. The company was acquired by Vanedge Capital and Offspring less than two years later. Prior to that, he spent five years at Time Warner/AOL in senior executive roles. "I am definitely excited to join this fast-growing company," stressed Terry. "The technology is unique, powerful and just beginning to fulfill its ultimate capabilities. It is producing dramatic business results for the current base of customers in a just a few verticals here in the U.S., and there are many additional opportunities for immediate expansion. Given Conversica's deep understanding of artificial intelligence, machine learning and natural language processing, I am confident this company has the potential to grow in triple digits and eventually become a billion dollar business." "Attracting Alex to lead this company is fantastic," added Ben Brigham, Conversica's founder and chairman of the board. "I saw tremendous potential for Conversica when I started the company, and Alex sees it too. His track record is incredible, and I know that his ability to seize opportunities and make the most of them will further transform this great company." In addition to his success in leadership and growth, Terry is also a technology and business innovator who holds multiple patents for his work in Internet services, integrated communications and interactive billing systems. He earned his MBA from Harvard Business School and his undergraduate degree from Dartmouth College. Conversica is the leading provider of lead engagement software for marketing, inside sales and sales organizations. Driven by artificial intelligence technology, Conversica's custom online persona automatically contacts, engages, nurtures, qualifies and follows up with leads via natural, two-way email conversations until the lead converts into an opportunity or opts out. The virtual sales assistant interprets the lead's intention and sentiment in email replies and extracts key information, such as phone numbers and the best time to call. As a result, our customers find their next customers more quickly and efficiently, while ensuring no lead is left behind. Used by more than 8,000 sales representatives worldwide, Conversica maximizes sales opportunities by optimizing sales team productivity and has helped create more than US$8 billion in sales revenue. Conversica is a portfolio company of Kennet Partners and is headquartered in Foster City, California. To learn more, visit www.conversica.com and follow us on Google+, YouTube, Facebook, LinkedIn and Twitter.